Offer deadline, 4/15 10:00 a.m. Multiple Offers received. 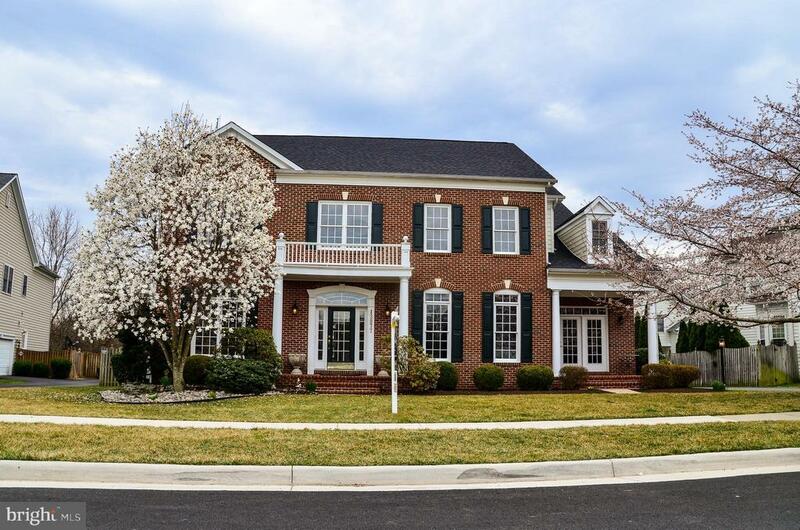 Sophisticated yet Comfortable Colonial in desirable Chantilly Community. Over 5, 000 finished square feet * 10 foot ceilings & Hardwoods on main level * Formal Living & Dining room * Builder appointed Gourmet kitchen with large inviting island and Breakfast room * Grand Family room with custom gas fireplace and built-ins * Main level Office features beautiful floor to ceiling bookcase and its own private entrance * Upper level offers 4 bedrooms; each with private bath & an open Bonus room with second staircase leading to the main level * The lower level features a large recreation/TV room with 5 point built-in speaker system, wet bar, bonus/exercise room and full bath * You are sure to enjoy the private outdoor living space with a TREX deck, Flagstone patio & walkway to private outdoor kitchen with built-in Lynx gas grill & outdoor sound system * New roof, upper level gas HVAC and Sump pump* This home has it ALL and MORE! A must see! Directions: Rt. 50 West, Left on Stringfellow, Right on Poplar Tree Rd., Left on Autumn Glory, Left on Walney Park Drive.